I’ve always had a thing for cows, especially Holsteins. I love the graphic black and white color from an artistic point of view but it’s their soulful eyes and moist pink noses that capture my heart. I’m going to begin a new piece today with cows as my theme since I know the subjects that tug at my heartstrings make the best art. As cliche as it sounds, art has to come from my heart. If it’s forced, you’d know it. I’ll share my work in progress soon. 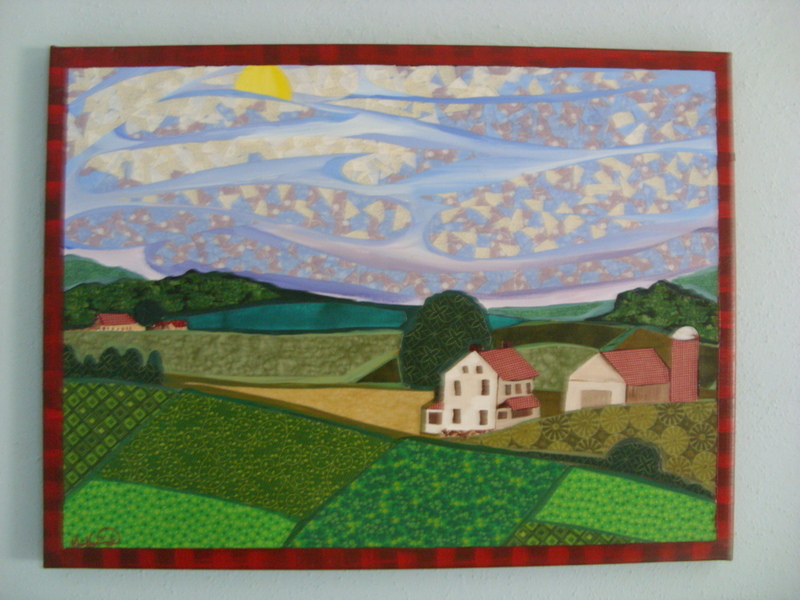 For now, take a look at two of my recent farm collages– Pennsylvania Farm #1 and Pennsylvania Farm #2. These pieces are in response to the knowledge that family-owned farms and farmland are being lost every day. Don’t even get me started on developers, “progress”, and the almighty dollar! Instead of focusing on the negative, I want to show the beauty of farms and pay tribute to this way of life. Hopefully, my art will inspire others to protect agricultural areas and begin to shop locally 🙂 These are autumn and summer scenes respectively. 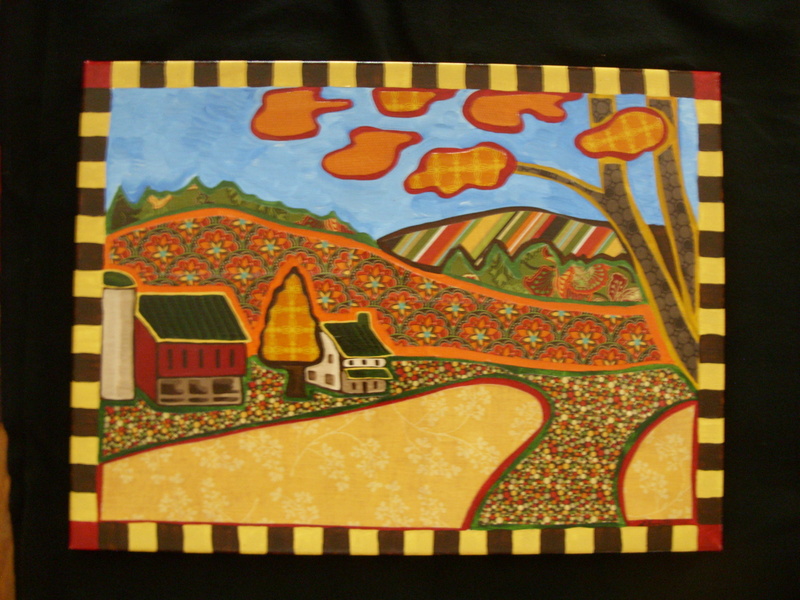 This entry was posted in A Window on Life, Art and Soul, My Love for Nature and tagged agriculture, art, autumn, beauty, collage, cows, earth, environment, fabric, farm, farmland, inspiration, paint, painting, Pennsylvania, summer by puresusan. Bookmark the permalink.